Rhinestone Fish Drop Dangle Earrings represent Hope and Miracles. 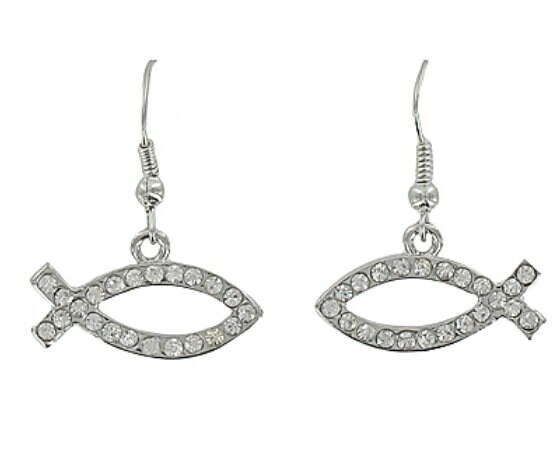 Charming Fashion Silver Plated Crystal Fish Rhinestone Drop Earring. 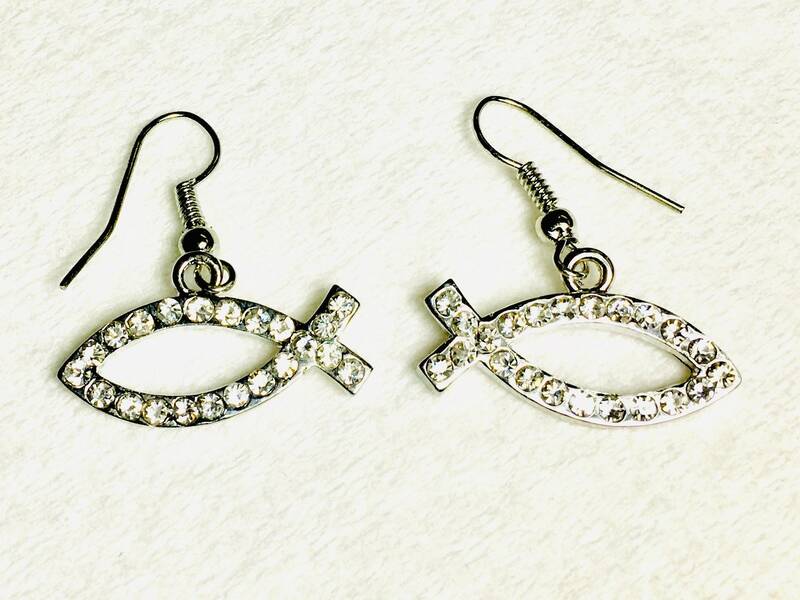 These are fashion earrings are both elegant and truly beautiful. A Saint Michaels Jewelry exclusive that you will find no where else!